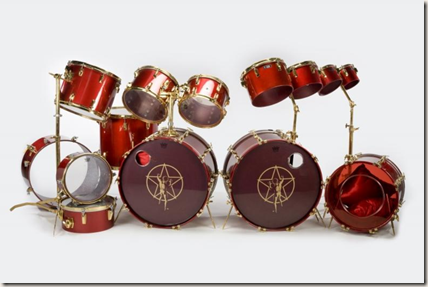 Neil's red, Tama Artstar prototype kit used from 1982 - 1985 on three albums and three tours is up for auction (again). Click to go to the auction site. This kit was used to record Signals, Grace Under Pressure, and Power Windows. 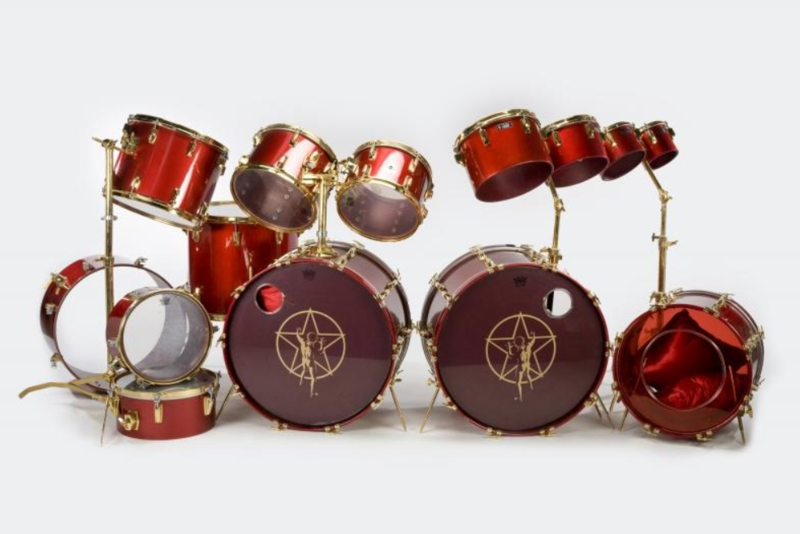 Jack Hess won it as part of a Neil Peart drumset giveaway in 1987 and stored it in his basement until August 1999. He sold it on eBay for $26,100. The second owner was Scott Jemm, who displayed them until 2002. He sold them on eBay for $14,621.12. Robert Telleria, author of Rush: Merely Players, helped the new owner restore the drums and eventually bought the kit himself. Now the drums are being auctioned on Julien's Live.